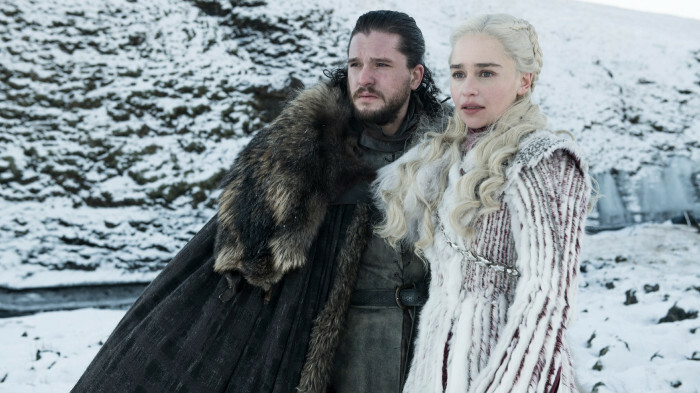 Viewership data for the final season of HBO’s hit fantasy drama “Game of Thrones” keeps growing. Speaking on the April 24 fiscal call, AT&T CFO John Stephens said more than 27 million watched the premiere episode of season eight across all platforms, including subscription streaming video service HBO Now. “Those numbers will show up in the second quarter customer accounts,” Stephens said. HBO originally said 17.4 million people watched the episode on the pay-TV channel. Stephens said the series helped HBO Now generate record new subscribers in the days before the premiere episode. Meanwhile, AT&T said the $85 billion acquisition of Time Warner continues to positively affect the telecom’s bottom line. New business unit WarnerMedia, which includes Warner Bros., HBO, Turner, AT&T’s regional sports network and Otter Media Holdings, reported first-quarter (ended March 31) operating income of more than $2.2 billion on revenue of more than $8.3 billion. Warner Bros. saw operating income increase $164 million on revenue of $3.5 billion — the latter up from $3.2 billion in the previous-year period. HBO saw operating income increase $32 million on revenue of $1.5 billion, down from revenue of $1.6 billion last year. Turner saw operating income increase $82 million on revenue of $3.4 billion, down from revenue of $3.5 billion last year. Finally, WarnerMedia confirmed an agreement with an affiliate of Related Companies to sell its office space at 30 Hudson Yards for about $2.2 billion. The transaction is expected to close in late second-quarter 2019. AT&T will use proceeds from this transaction, along with additional planned sales of non-core assets, to reduce its $180 billion debt load following the Time Warner acquisition. 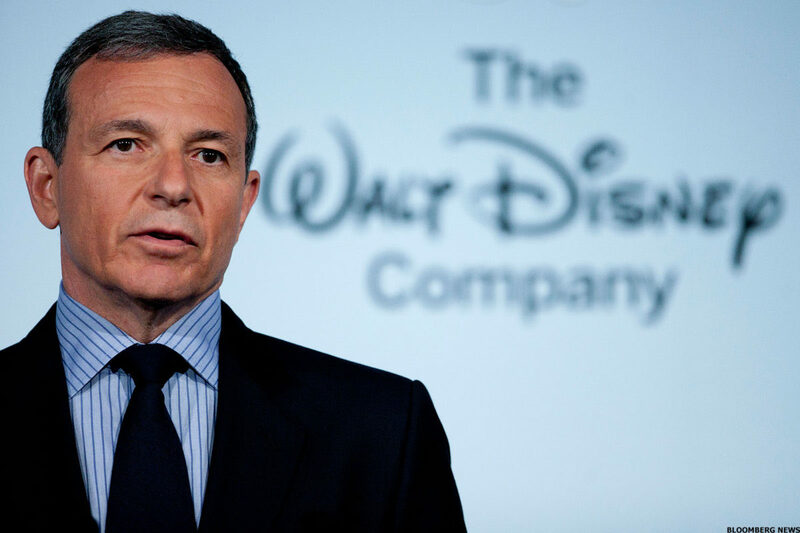 WarnerMedia earlier sold its 10% in Hulu to the Disney-controlled platform for $1.43 billion. AT&T hopes to end fiscal 2019 with about $150 billion in debt. In the United States, premiere day demand for season eight of “Game of Thrones” was 6.2 times higher compared to season seven, according to Parrot Analytics’ Demand Expressions measurement. The overnight demand leading up to the season eight premiere April 14 was most pronounced in the United States, increasing by more than 37%. Demand increased 35% in the United Kingdom (premiere day demand 6.3 times higher than season seven) and 17% in China (2.7 times higher than season seven). Out of 100-plus markets under measurement by Parrot Analytics, demand in the U.S. was 55% ahead of the U.K., 99% ahead of France, 106% ahead of Canada, 111% ahead of Australia, 156% ahead of Germany, 251%-plus ahead of Brazil and 2,100% ahead of China. 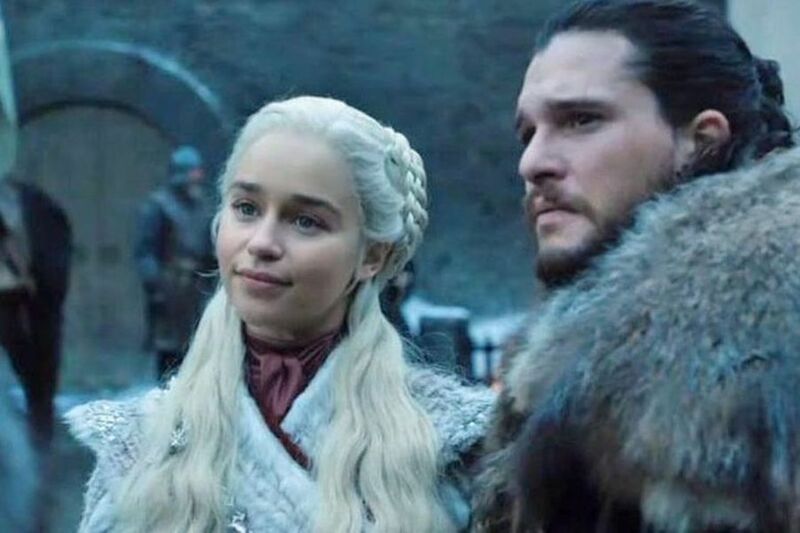 The April 14 premiere of the eighth and final season of “Game of Thrones” generated record viewership for HBO, including standalone subscription streaming service HBO Now. The premiere accounted for largest night of streaming activity ever for HBO Now. The previous streaming record was set in 2014 by the season one finale of “True Detective,” starring Matthew McConaughey and Woody Harrelson, which temporarily crashed TV Everywhere app, HBO Go. 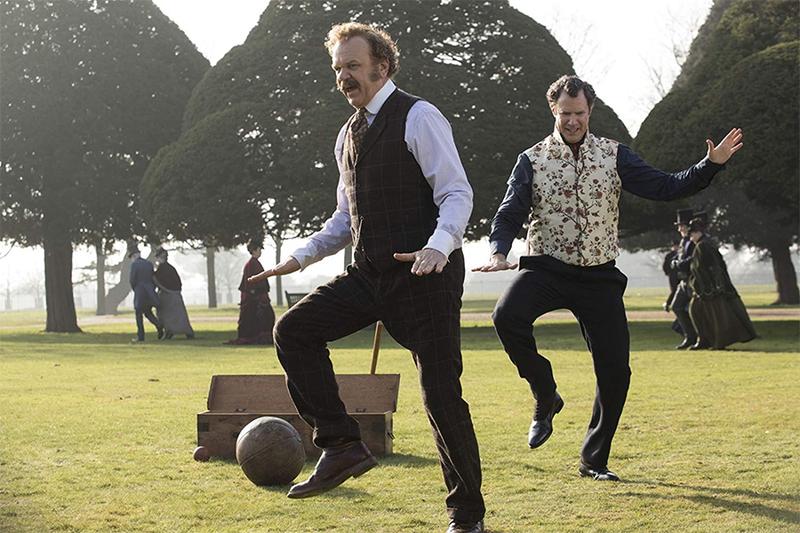 WarnerMedia said a record 17.4 million people watched the episode across all distribution formats, including pay-TV. The tally exceeded by more than 1 million the previous series high of 16.9 million viewers for the season seven finale. 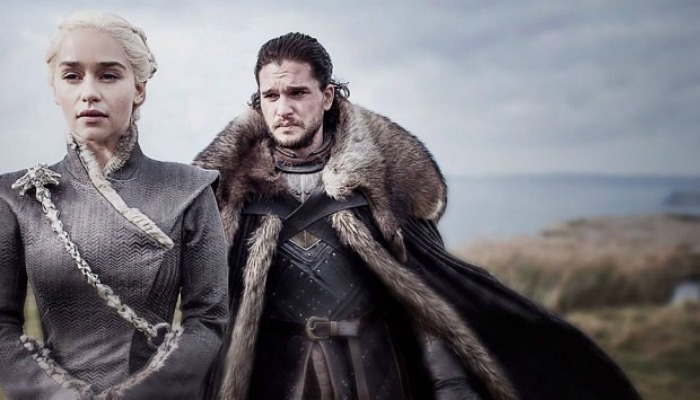 HBO Now saw a jump of about 50% in viewing when compared to last season’s finale and nearly doubled (97%) when compared to the seventh-season premiere. The 9 p.m. airing was viewed by 11.8 million viewers, surpassing the season seven premiere of 10.1 million viewers and slightly behind the season seven finale of 12.1 million viewers. “Game of Thrones” season seven went on to average 32.8 million viewers per episode. 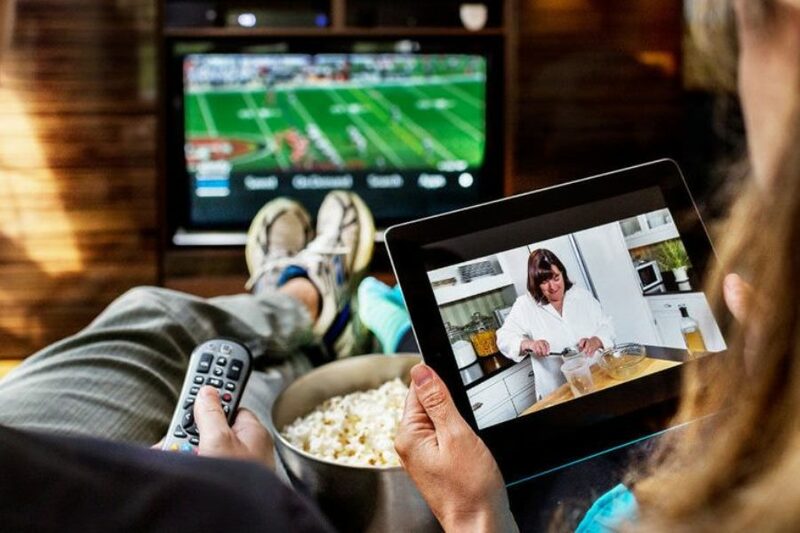 Consumer spending in Denmark’s home entertainment market grew 7% in 2018 to DKK 10.21 billion ($1.53 billion) — driven by over-the-top video, transactional VOD and EST growth, according to new data from Futuresource Consulting. SVOD (i.e. Netflix) spending grew more than 30% and is expected to DKK 2 billion mark by the end of 2019, accounting for more than 20% of total video entertainment consumer spend. Futuresource said SVOD in Denmark continues to benefit from a competitive landscape, with an attractive range of services from global players Netflix and HBO to local offerings from Viaplay and TV2 Play, with Netflix leading the market with 39% of subscriptions in 2018. Streaming services are supported by a strong broadband environment, with average speeds of 39 Mbps and household broadband penetration at 83%. As a result, Denmark saw a total of 1.2 million households subscribing to at least one SVOD service, leading to household penetration of 46% in 2018 — on par with the Nordic region average, which led European penetration rates in 2018. Futuresource contends the transactional video market across both digital and physical formats is expected to decline by 2% to DKK 554 million, with the physical market declining DKK 57 million. However, from 2019 the transactional segment is expected to see a return to growth, propelled by a progressive EST sector, which will grow 31% to DDK 163 million. Transactional digital video growth accelerated in 2018 to 16%, with total spend reaching DKK 349 million, although this is just 20% of the SVOD market. A solid year of EST growth meant that revenue increased 38% to DKK 124 million, doubling since 2016, and accounted for 35% of the 2018 transactional digital market. Transactional VOD continues to grow, but at a slower pace than EST, with spend increasing 18% to DKK 96 million in 2019 — and an average of 16% annually through 2023. 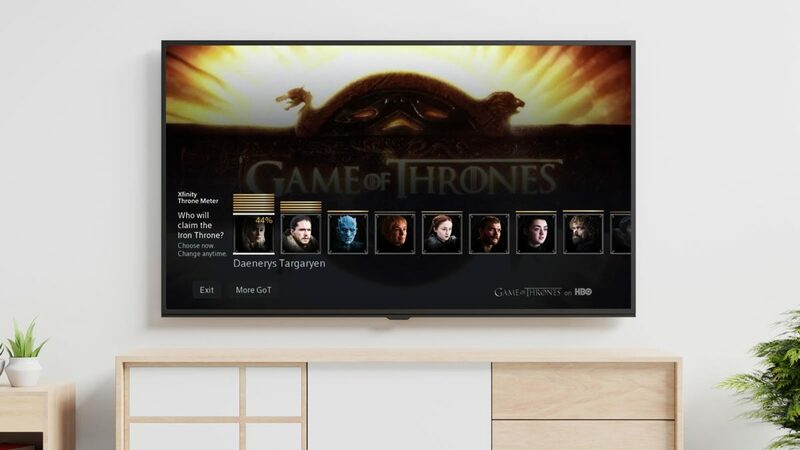 In the ongoing buildup to the April 14 premiere of the eighth and final season of HBO’s “Game of Thrones,” Comcast Cable has partnered with the WarnerMedia subsidiary affording X1 subscribers interactive companion features for the last season. X1 subs can select which “Game of Thrones” character they believe will claim the Iron Throne by saying “For the Throne” into the X1 voice remote. This polling feature can be accessed at any time and enables subs to make their selection, see how it stacks up against other viewers in real time, and opt to send a special “Thrones” badge featuring the selected character to their mobile phone to share their allegiance across social networks. As events of the show unfold each week, subs can update their king or queen selection as often as they like by saying “For the Throne” into their voice remote. Subs can hear quotes from the show’s main characters, including “Khaleesi,” “Jon Snow,” “Tyrion Lannister,” “Jaime Lannister,” “ Cersei Lannister,” “Arya Stark” and “Sansa Stark” spoken back to them. These new audio “dragon eggs” will remain on the platform throughout the season. Finally, subs can explore a “Game of Thrones” destination on Xfinity On Demand by saying “Winter is Coming” into the voice remote. The platform features exclusive content including: individual character recaps from cast members; 60-second series summaries from celebrities like Bill Hader and Henry Winkler; a video montage dedicated to all the characters who died; behind-the-scenes footage, including special effects, locations, and costumes; a Throne Room Yule Log; up-to-date“Thrones” news via YouTube; and “Thrones”-inspired playlists from Pandora. “Game of Thrones” continues to be the #1 series on Xfinity On Demand,” Brynn Lev, VP, editorial & programming, content strategy & operations for Comcast Cable, wrote in a blog post. Comcast is also streaming all past seasons of the show through its annual Watchathon binge-viewing event ending April 14. Roku April 4, announced that HBO and (soon) Cinemax are available as add-on third-party subscriptions on The Roku Channel. HBO joins an array of more than 25 premium subscriptions already available on The Roku Channel. The Roku Channel provides users access to 10,000+ free, ad-supported movies and TV episodes as well as third-party premium subscriptions. It is a top 5 channel on the Roku platform by active account reach. The channel’s easy-to-navigate, content-first interface, allows users to discover free, ad-supported entertainment as well as premium services in a single destination without having to switch between multiple streaming channels. The Los Gatos, Calif.-based streaming media device manufacturer’s 27 million users can trial HBO for free for seven days. Following the seven-day trial, subscribers will be charged $14.99 per month. The Roku Channel offers a single destination for both free (ad-supported) and premium movies and TV shows. Customers can browse all content, even those from premium subscription services, without needing a subscription. Users ready to subscribe via The Roku Channel can take advantage of “one-click” signup and subscriptions can be managed through the “My Account” section on the website. Premium subscriptions are only viewable within The Roku Channel. 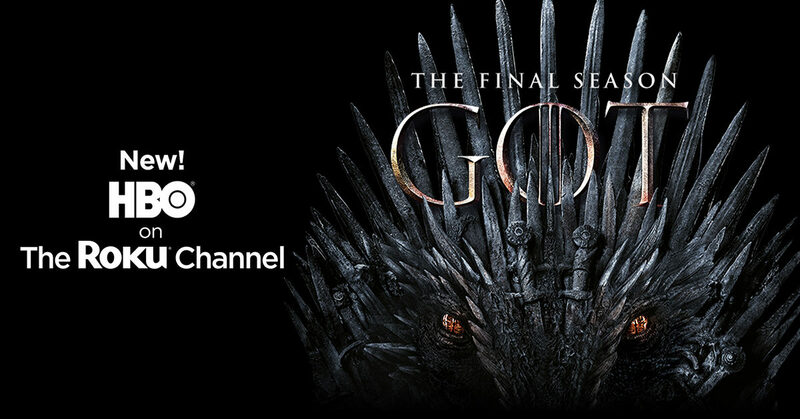 “The Roku Channel users will have a chance to watch the final season of “Game of Thrones” on their favorite platform,” said Jeff Dallesandro, SVP, worldwide digital distribution and new business development, HBO. 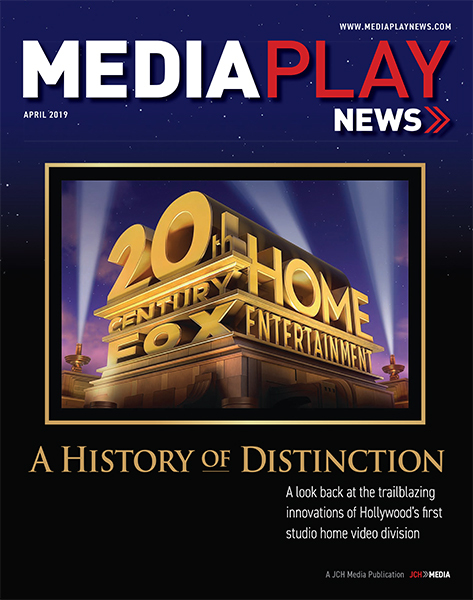 April is chock-full of releases on digital and DVD from HBO Home Entertainment, including the controversial Michael Jackson documentary Leaving Neverland. 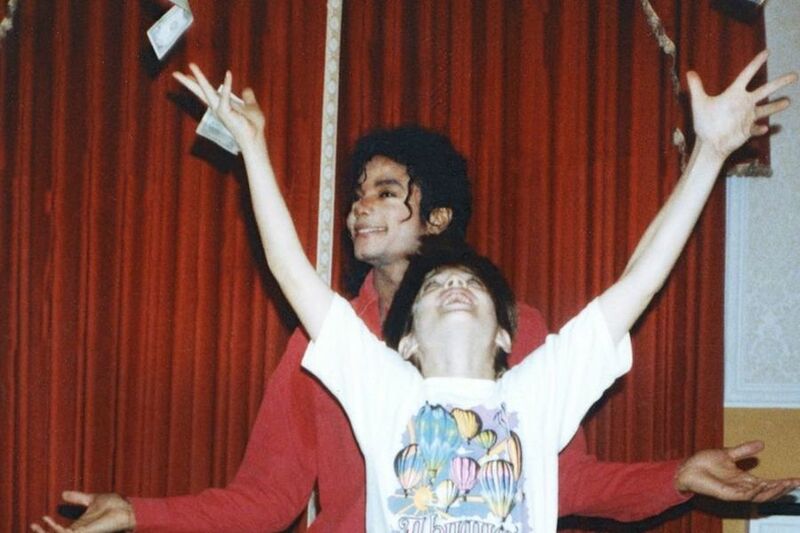 The two-part documentary Leaving Neverland, due on digital download April 29, explores the separate, but parallel experiences of two young boys, James “Jimmy” Safechuck, at age 10, and Wade Robson, at age 7, both of whom were befriended by Jackson. They and their families were invited into his world, entranced by the singer’s fairy-tale existence as his career reached its peak. 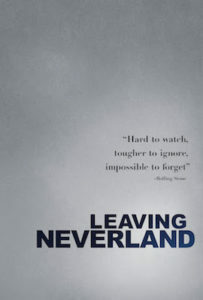 Through gut-wrenching interviews with Safechuck, now 37, and Robson, now 41, as well as their mothers, wives and siblings, Leaving Neverland crafts a portrait of sustained abuse, exploring the complicated feelings that led both men to confront their experiences after both had a young son of their own. Crashing Season 3 is coming to digital April 1. 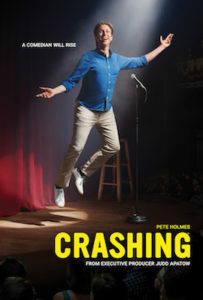 The show’s third season finds Pete reinvigorated — and no longer crashing on people’s couches — as he reenters the New York stand-up comedy world following his college tour. But even though he’s improved, that doesn’t mean he’s at the head of the pack. As Pete edges closer to success one stand-up set at a time, he continues to navigate his faith, dating and the ever-changing comedy scene. 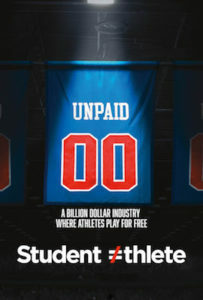 The documentary Student Athlete, due on digital April 8, unveils the exploitative world of high-revenue college sports through the stories of four young men at different stages of their athletic careers, as well as a coach-turned-advocate and a whistle-blowing shoe rep who exposes the money trail. From high-school recruiting to post-graduation, the usefulness of athletes is tied to their ability to produce revenue. 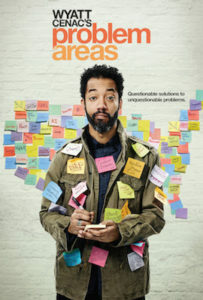 Wyatt Cenac’s Problem Areas Season 2, coming to digital April 15, focuses on education in America, investigating teacher pay, student mental health, the school-to-prison pipeline and other pressing topics. Cenac visits West Virginia, Oregon, California, Minnesota and other areas around the country to learn how communities navigate issues facing public education. While education serves as the season’s primary focus, the show addresses other issues, including the unionization of fast-food workers and the potential dangers of facial recognition software, as well as comedic solutions to lighter topics, such as how to get more steps in at the office or how to teach kids practical skills, like filing taxes. 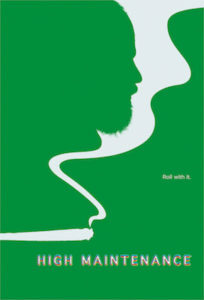 Also due on digital April 15 is High Maintenance Season 3, which profiles everyday people whose stories of success, failure, love and loss intersect across New York, while delving deeper into personal life of The Guy, who is spending less time on his iconic bicycle and more time in “Steve RV,” a set of wheels gifted to him last season. Featuring an intricate web of returning characters and new faces, the new episodes find New Yorkers exploring their relationship with the city, touching on such themes as death, parenthood, sexuality, fantasy and aging. 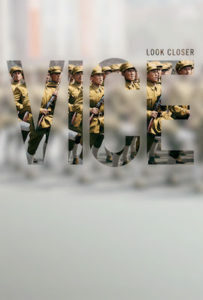 Vice Season 6, another title coming on digital April 15, continues to explore under-covered global stories with exclusive reports from Iraq, Russia, the Central African Republic and China. Season six also focuses on the domestic issues dividing the nation, providing in-depth reporting on the major debates surrounding gun laws, immigration, economics, education, civil rights and America’s place in the world. 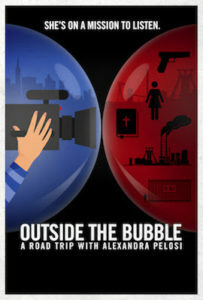 Coming on digital April 29 is Outside the Bubble: A Road Trip with Alexandra Pelosi. The show follows Pelosi as she ventures beyond the coast and sets out on a cross-country trip to engage in conversations with fellow Americans in an effort to gain an unfiltered understanding of other perspectives. Also due on digital April 29 is Strike Back Season 6. When a Russian bomber crashes in the South China Sea, the covert special-ops soldiers of Section 20 — Thomas “Mac” McAllister (Warren Brown), Samuel Wyatt (Daniel MacPherson) and Gracie Novin (Alin Sumarwata) — are sent to investigate. There, they cross paths with Katrina Zarkova (Yasemin Allen), a rogue Russian operative with questionable loyalties. Under orders of the new commanding officer, Col. Alexander Coltrane (Jamie Bamber), Section 20 pursues stolen contents of the Russian jet across Southeast Asia. 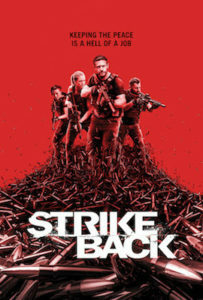 They work alongside the Malaysian police to shut down a Triad gang in Kuala Lumpur, uncover a corrupt plot by a wealthy Indian businesswoman running for Parliament and plunge into the jungles of the Golden Triangle in Myanmar, facing off against mercenary drug agents and terrifying warlords as they uncover a conspiracy that threatens to push the world to the brink of global conflict. 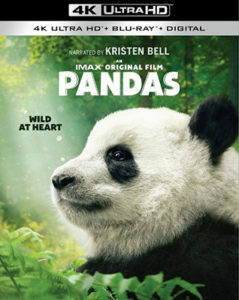 HBO is also releasing two titles on DVD in April. 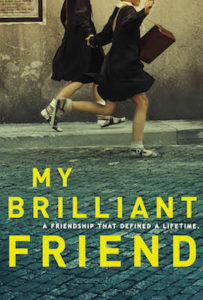 Coming April 2 is My Brilliant Friend. When the most important friend in her life seems to have disappeared without a trace, Elena Greco, a now-elderly woman immersed in a house full of books, turns on her computer and starts writing the story of their friendship. Set in a Naples, their story goes on to cover more than 60 years of their lives as she tries to describe the mystery of Lila, Elena’s brilliant friend and — in a way — both her best friend and her worst enemy. Written and directed by Daniel Sawka, Icebox, available on DVD April 16, tells the story of Oscar, played by Anthony Gonzalez (Coco), a 12-year-old Honduran boy who is forced to flee his home and seek asylum in the United States. 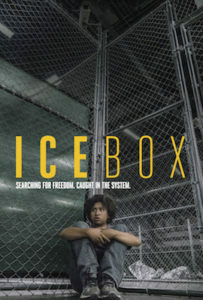 As Oscar attempts to reach his uncle, Manuel, in Arizona, he is apprehended by the Border Patrol and placed in “the icebox.” Faced with a seemingly impenetrable immigration system, Oscar struggles to navigate a path to freedom, with a journalist and his uncle, himself a recent immigrant, as his only lifelines.